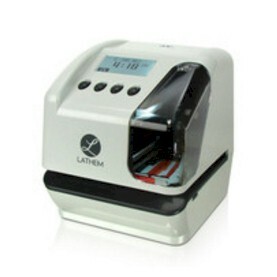 We offer HERE our selection of time cards to fit Lathem models from our over 400 time card forms. All cards are PRINTED in the USA. 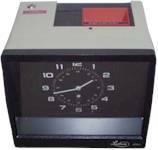 Standard time card stock used is 150 lb. MANILA tag, unless otherwise indicated. Generally, time cards are printed with green ink front, red ink back, on manila card stock unless otherwise indicated. Time cards are rotary cut for accuracy and smooth operation. Please call us at 800-858-7462 for more information. FREE SHIPPING to the contiguous 48 States & DC is included. Card measures 3.375" x 9".